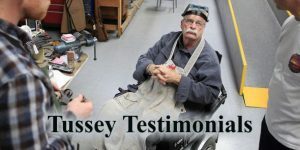 Long known for custom handguns, not many people know that Tussey Custom also specializes in a few high quality, custom bits and pieces for 1911 pistols. We’ve all found that many “add-ons” for 1911 pistols exist simply because they can exist, not always because there is a real world need for them. One thing that can almost always improve any handgun is a decent set of grips. While a barebones 1911 with standard grips is a serious tool, when you slip a pair of these slim (hence the name “Ultra Thin”) grips on the old war-horse it changes the entire character of the beast. The rich rosewood color and tough laminated hardwood construction keep them as attractive as they are functional. Any shooter will immediately appreciate the new feel to the gun. The enhanced grip, comfort and shootability will go a long way toward confidence in the gun. This translates to hits on the target, which is what it’s all about. 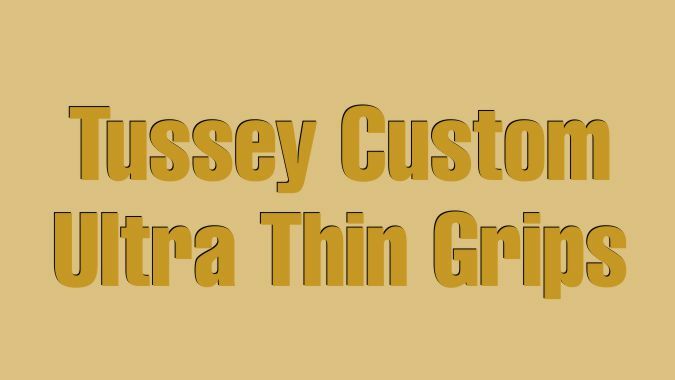 Tussey’s logo is tastefully laser-etched on the Ultra Thins and tells anyone who knows that you have good taste in 1911s. I can think of lots worse things to spend $44.95 on.